Sometimes it’s the simplest touches that can make something look really gorgeous. 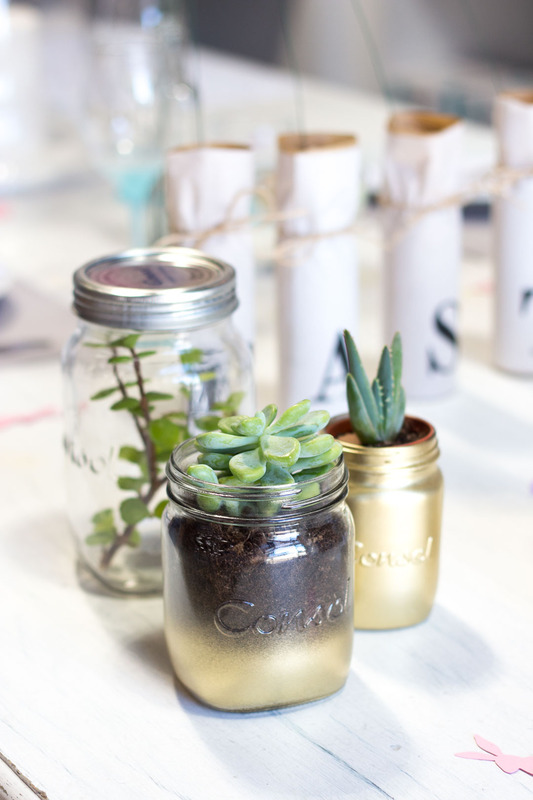 Take these glass succulent jars for example, adding a little spray of gold paint to a plain jar makes it glamourous. 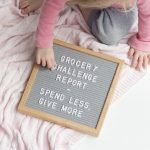 These would be such versatile table or shelf pieces as they would look great for anything from day-to-day decor to a fancy dinner party. I love the contrast of the dark soil with the gold paint, as it really makes it pop. 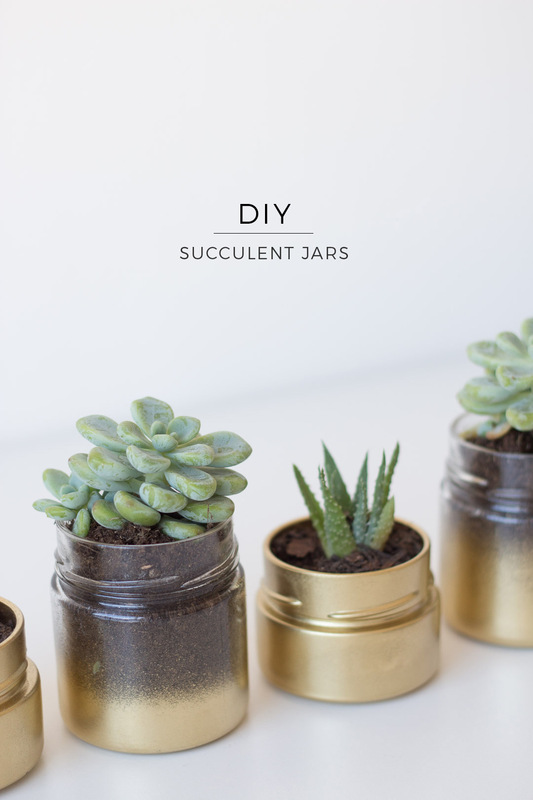 Arrange the jars in a cluster with some painted fully, some with an ombre effect and some left completely clean. 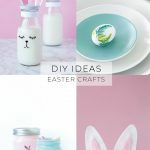 I’ve used two different types of jars, and it looks great in both. Choose your jars based on the size of your plants. Make sure your glass jars are clean and dry. 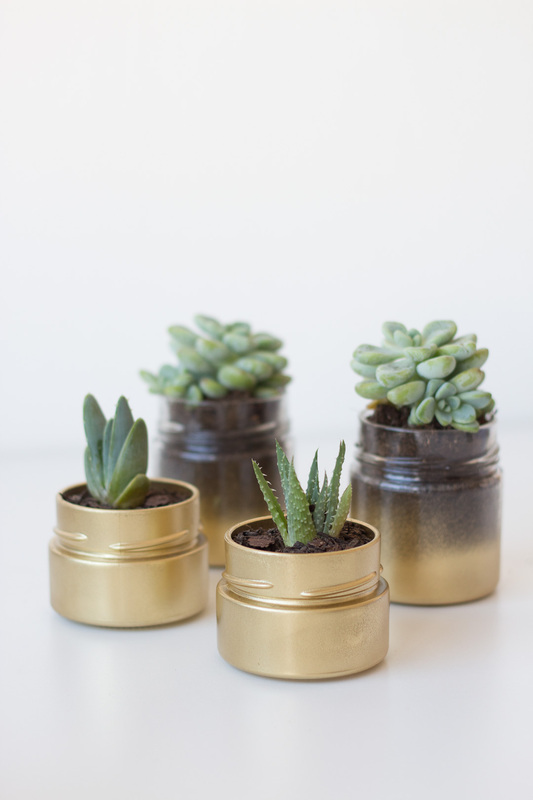 For solid gold glass jars, simply place them upside down on some scrap newsprint and spray a thin coat of paint. Leave to dry and then repeat with another thin coat. 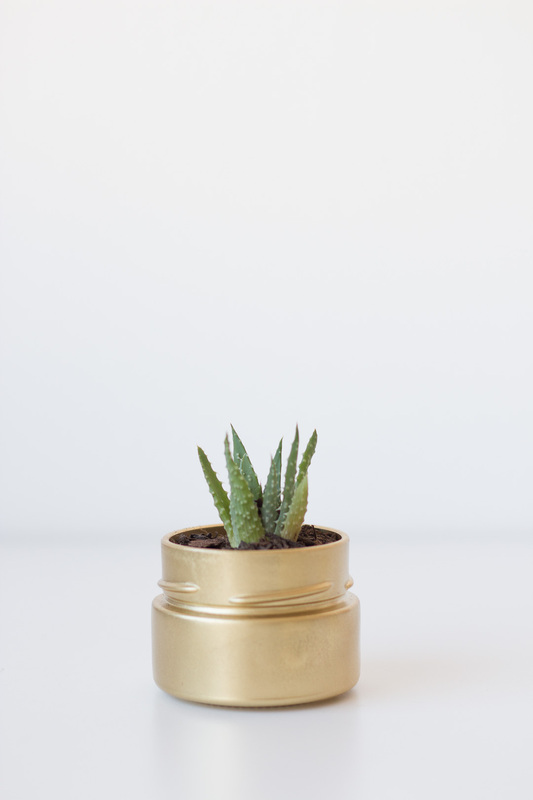 For gold ombre glass jars, place your hand/fingers inside the jar. 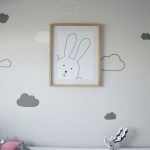 (It’s a good idea to wear a glove to prevent painting yourself) With short sprays, spray around the bottom of the jar. Face the spray paint away from you, so that it is spraying over the end of the jar. Ensure that the sprays are short and that you aren’t spraying too close to the jar as this will cause thick sections of paint to form. Again, rather do extra coats, making each one thin. 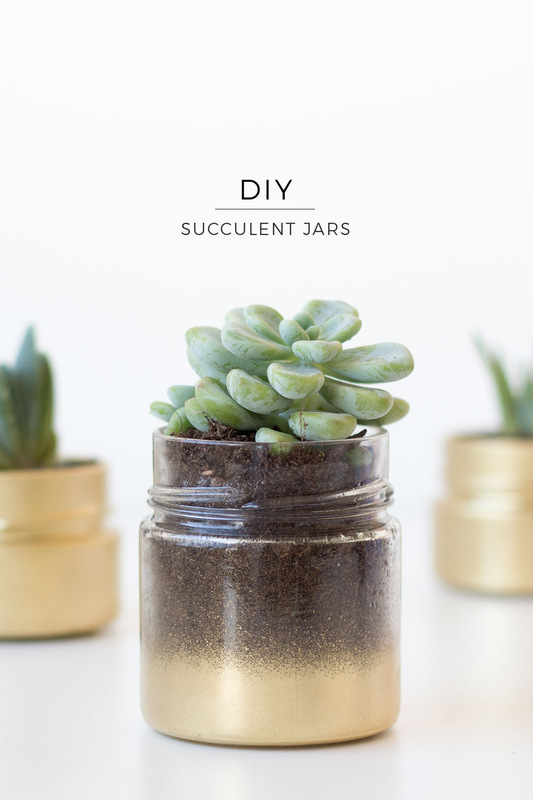 Gently plant your succulent into the jar, using extra soil if needed.